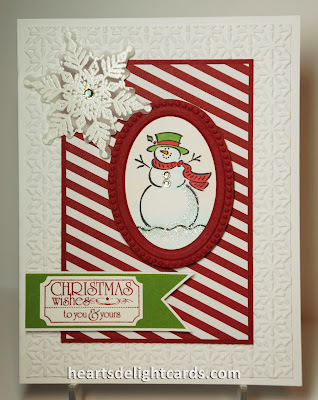 Heart's Delight Cards: Best of.....Snow(man)! 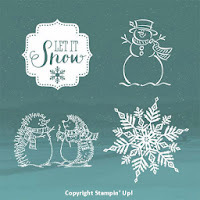 I was so excited when I saw the new "Best of" stamp set for November, because every stamp was devoted to snow! The snowflake is absolutely gorgeous, the snowman couldn't be any cuter, and the hedgehog building a snow-hedgie is adorable! Top it off with a 'Let it Snow' greeting, and the stamp set couldn't be any better, in my book. I added some sparkle to the snow with a swipe of the 2-Way Glue Pen and a sprinkle of Dazzling Diamonds glitter*. The buttons on the snowman became rhinestones and a rhinestone was added to the center of the white heat embossed (on vellum) snowflake. The snowflake was then cut out with a Festive Flurry Framelit. *I've heard glittter referred to as 'the herpes of the crafting world', which is kind of sad. I love the sparkle that it adds but, I admit, it can be messy. My solution is to keep the Dazzling Diamonds in a medium stamp case like I use for my embossing powders. I sprinkle the glitter on with a plastic spoon (kept in the case), tap the excess back into the case and let it dry for an hour or so. Then the dried image is brushed off with a stiff brush, over a waste basket, so any loose bits are removed. This method really helps keep the mess to a bare minimum. Love, love, love this card!!! 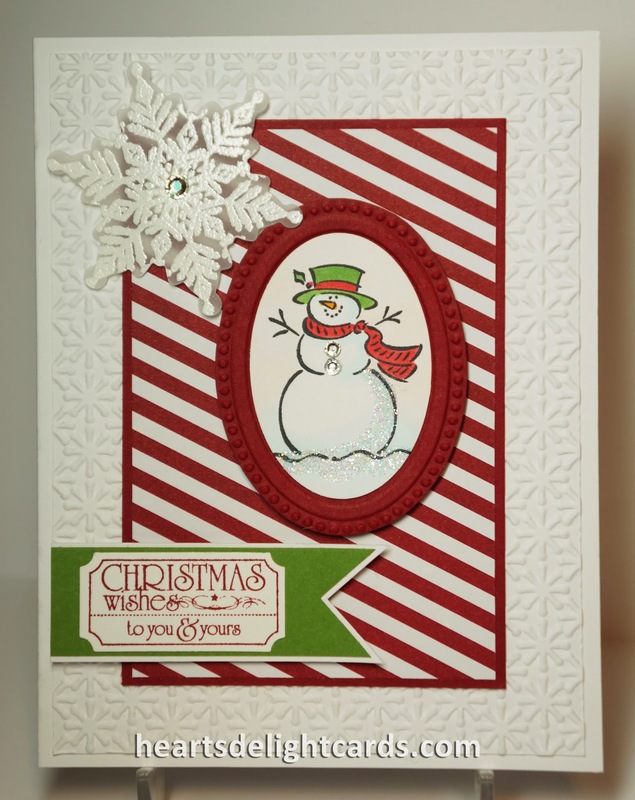 Frosty is the first stamp set I bought from S/U, still have it, but I ordered this. I hope you don't mind, but I might have to borrow your design. Christine, I never saw the original Frosty (I joined in 2009), but I fell in LOVE with him when I saw this set. So glad you like the card - borrow away, friend!